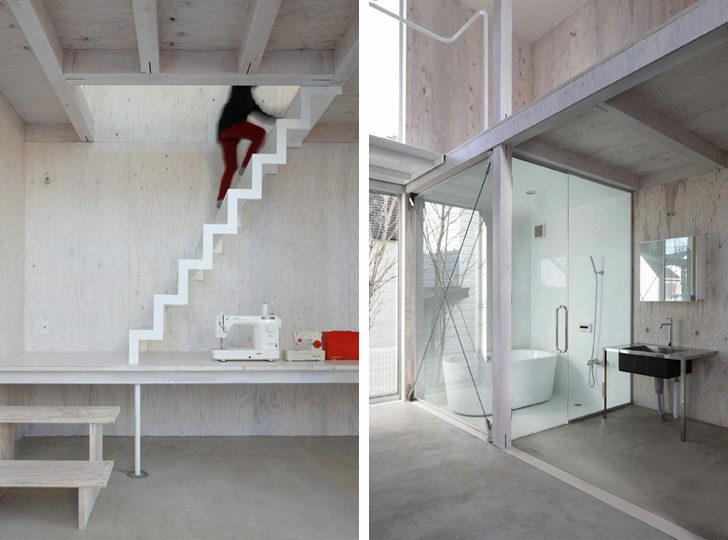 What would a house without internal walls and doors be called? The answer is of course – Unfinished House. 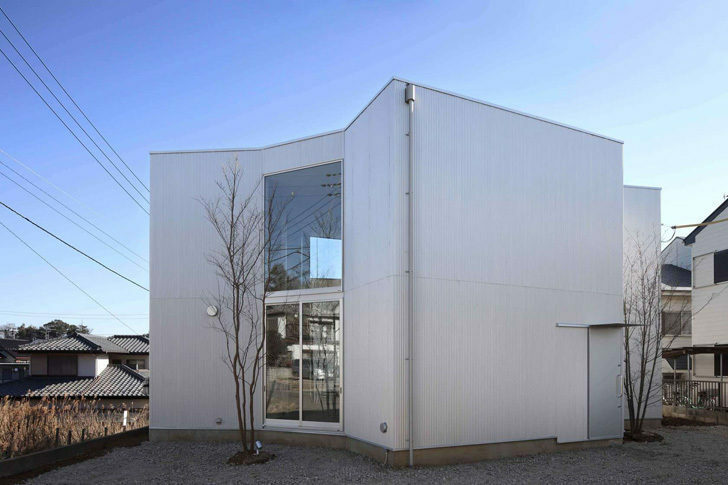 And, that is exactly the moniker given intentionally by architect Yamazaki Kentaro to his seemingly incomplete creation – a 70 sq m (750 sq ft) residence in Kashiwa, Japan. 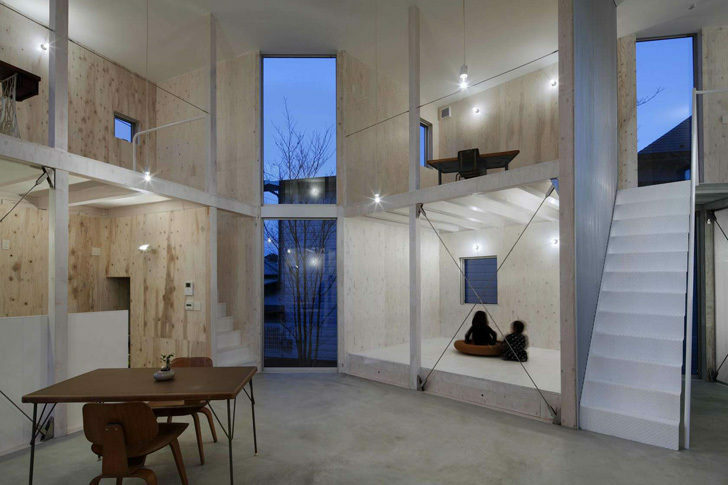 Envisioned as a wooden construction with a large communal space surrounded by compartments, the Unfinished House for all-intents-and-purposes alludes to profound openness of plan. In essence, the clients moved in the house, and then decided to allocate the spatial zones in accordance with their personal preferences – as opposed to the conventional spaces applied by architects themselves. So the family was free to ‘design’ and use the spaces as they wanted, thus resulting in a more progressive (albeit less private) layout that eschews divisions like front-walls and doors. 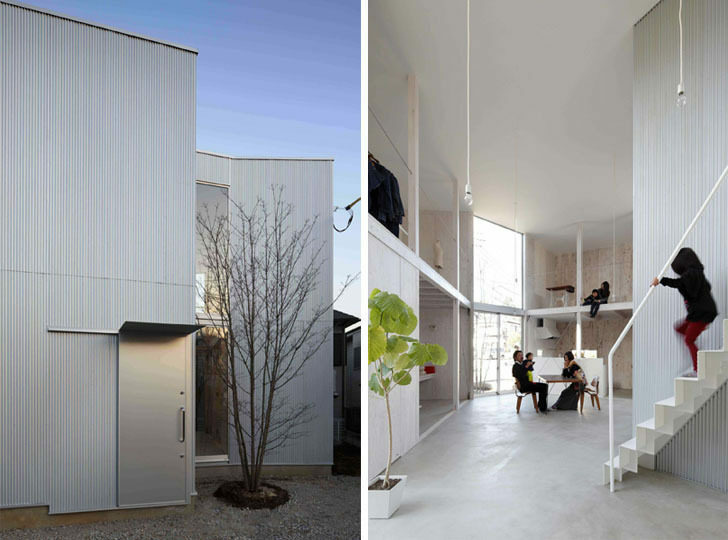 To that end, in terms of primary spatial distribution, the Unfinished House consists of an expansive central area that is surrounded by four two-storey booths on all sides. 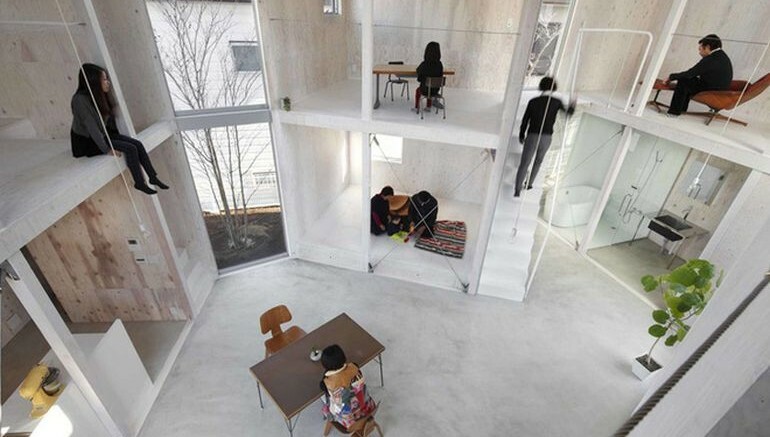 The inhabitants used these ground level booths as regular spaces like kitchen, bathroom, bedroom and workspace. But the ingenuity of the ‘resident designers’ is demonstrated by the upper level – which boasts of a range of flexible spaces like children playrooms, specific hobby areas and even storage areas (like wardrobes). 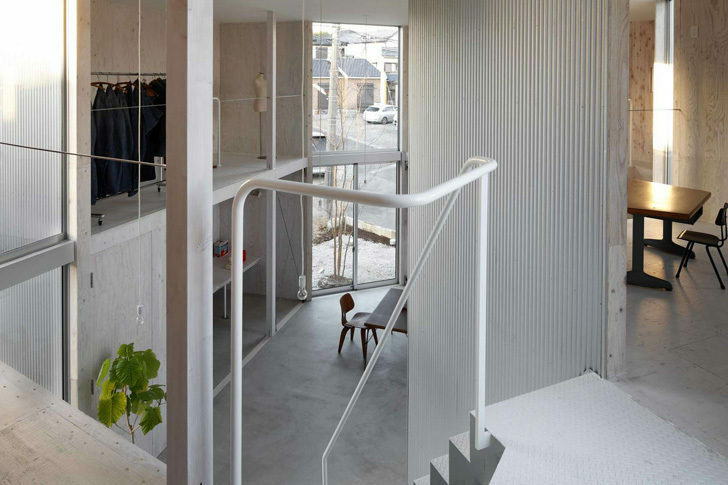 And the good part is – these openness of plan is bolstered by structural integrity of the house with its minimalist plywood panels and overall corrugated metal-cladding. 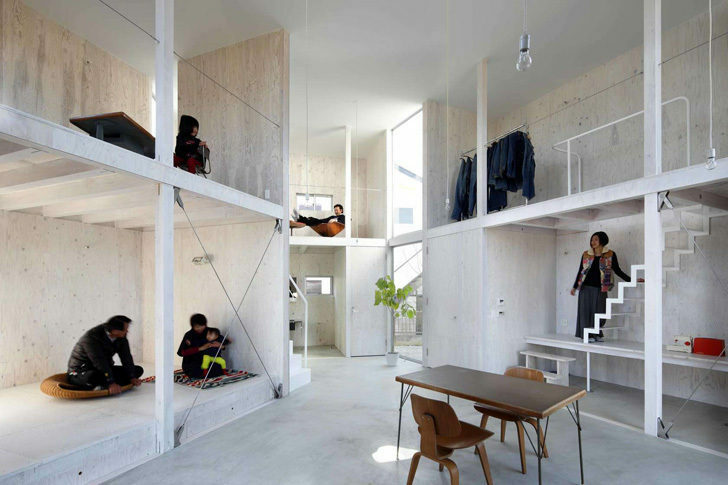 Furthermore, the layout and the orientation of the building is not just for the gimmick of open plan. 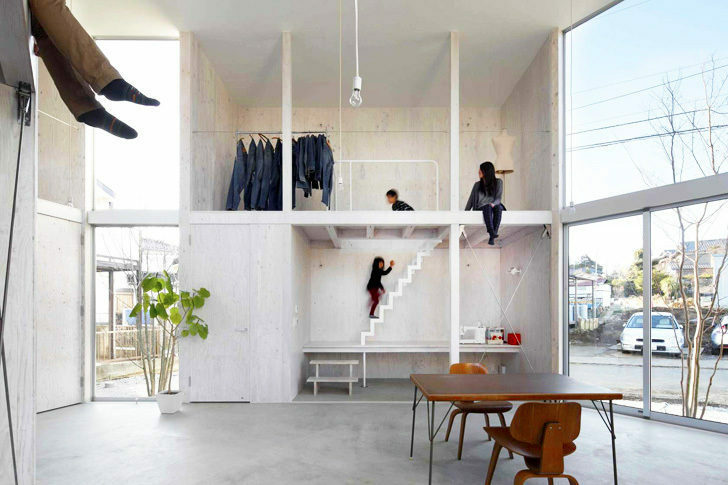 In that regard, while the footprint of the house accounts for around 70 sq m, the collective measurement of the spaces account for around 108 sq m (1,160 sq ft) of floor area. This in turn is complemented by the strategic alignment of the windows that allows natural induction of light into the central area, while also endowing great views from inside the house (of the surrounding landscape of trees). 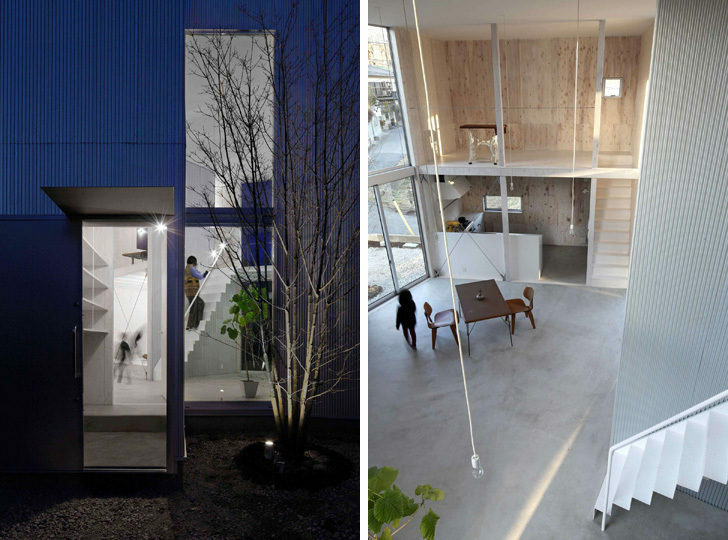 All Images Credit: Naomi Kurozumi Architectural Photographic Office.